Astleys has its own liveried, uniformed driver fleet. Staffed with courteous, professional drivers who have been with the company for many years. This fleet delivers to our core local area, about 30 mile radius from our head offices in Coventry. Outside this area, we have long standing arrangements with several logistics partners, again professional organisations that we feel confident in entrusting the accurate and safe transport of our service to you. Because Astleys fundamentally believes in supporting our customers with STOCK service, we invest significantly in our stockholding. Because of this, the vast majority of our products on this website are in stock, ready and available for next-day delivery. Sometimes, this may suggest that Astleys might not have the cheapest possible price - but as one of our directors said; 'it's funny, when we don't have the stock, we can be the cheapest too!" We can boast an on-time-in-full next day delivery statistic of 98% - pretty impressive by any standards, and certainly in our business, increasingly rare. Orders placed by 3pm will be despatched that day provided stock is available. If you have any questions regarding a delivery that you are expecting from Astleys, please call 0800 093 5494 to check progress. Deliveries can be sent direct to site or any alternative address. Simply fill out the delivery address form when placing your order. If you have any queries regarding Delivery, call Customer Services on 0800 093 5494. Of course, because we have the TradeCentre shop, you are very welcome to pick up any goods that are even more urgent. Handy if you would like to try various sizes or styles of clothing or footwear before you buy - even on Saturday. 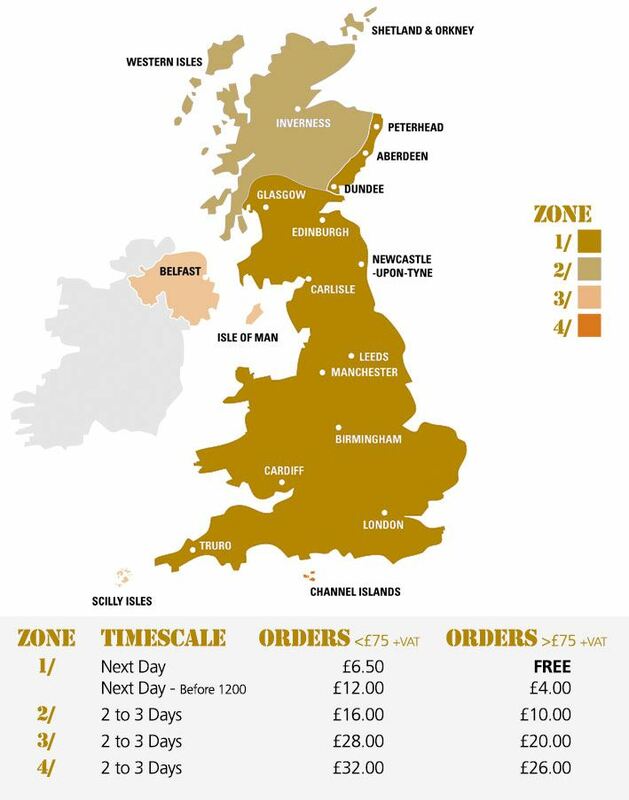 If you can't get to us, we can also help to arrange SAME DAY DELIVERIES for you by courier. For Timed Deliveries, call us on 0800 093 5494. For export orders (including the Republic of Ireland), delivery charges vary from country to country. Call Customer Services on 0800 093 5494 or email sales@astleys.co.uk for exact costs.